Reserved for Francoise. 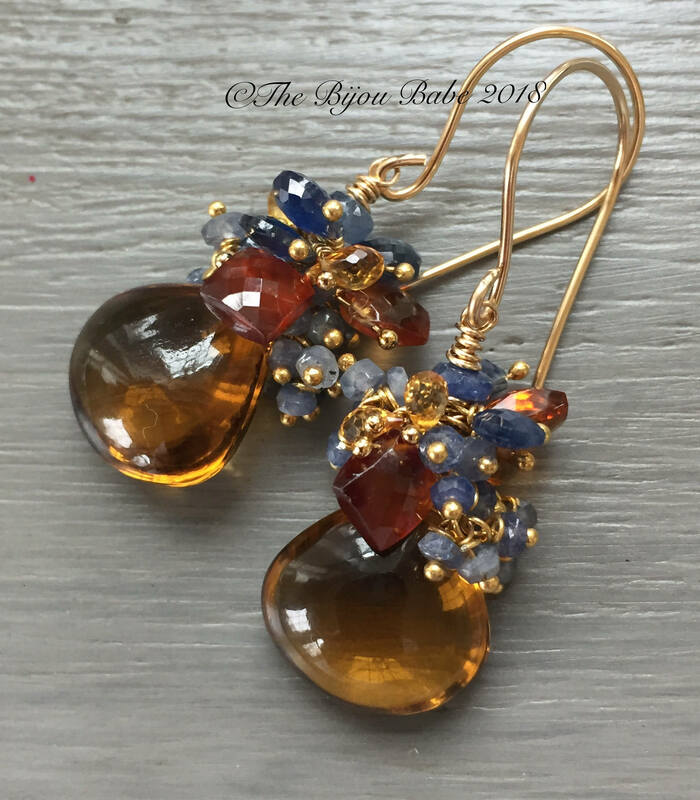 Smooth polished whiskey quartz briolettes are topped with a cluster of blue sapphires, golden citrine and hessonite garnet...colors of a Tuscan sunset! The delicious, warm, golden whiskey quartz measures 15mm, and they positively glow like liquid gold! The gemstone clusters on top are wire wrapped in tiny vermeil headpins, and all of the stones are beautifully faceted. Handmade 14kt gold filled ear wires finish the piece. Approximately 2 5/8" in length. 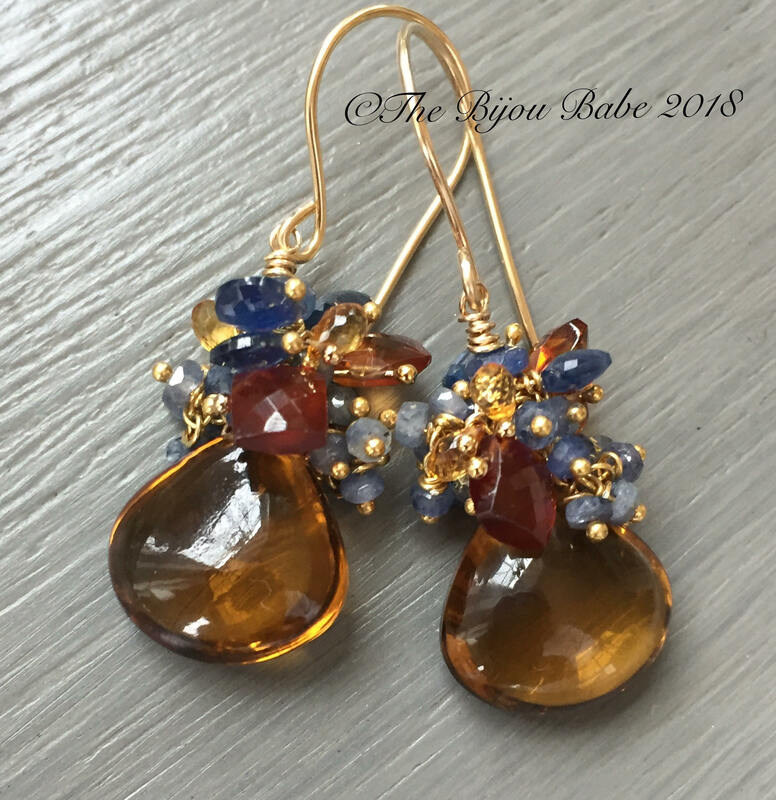 Your 'Tuscan Sunset' earrings will ship USPS Priority Mail with tracking in the US, and will be packaged in a signature Bijou Babe box tied with ribbon.